The monthly journal of the Academy, the Ma’arif is respected for the standard of scholarship and research it has maintained, and for the specialized fare it has provided on Islamic studies and culture. 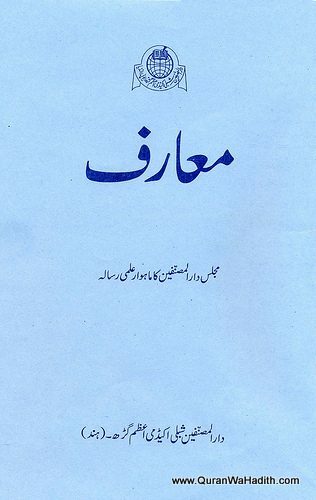 It has had few rivals in Urdu language during the last 101 years. In fact first issue of Maarif came out in July 1916 and since then it has been in uninterrupted circulation. It attracted the elite of intellectual life and among its contributors have been writers, authors, poets theologians and administrators of proven ability.